P.E Nation "Two Klicks" jacket with logo print at front & back. Elastic jacquard hem and cuffs. P.E Nation is an active-meets-streetwear brand designed for an urban lifestyle, lived at a fast pace. P.E Nation supports and celebrates an all round active life. 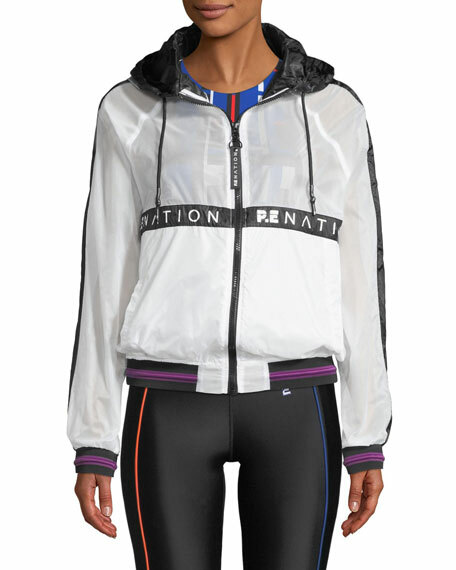 Founded in 2016 by Pip Edwards and Claire Tregoning, P.E Nation takes inspiration from their own active and varied lifestyles as mothers, creatives, fitness enthusiasts and fashion lovers. 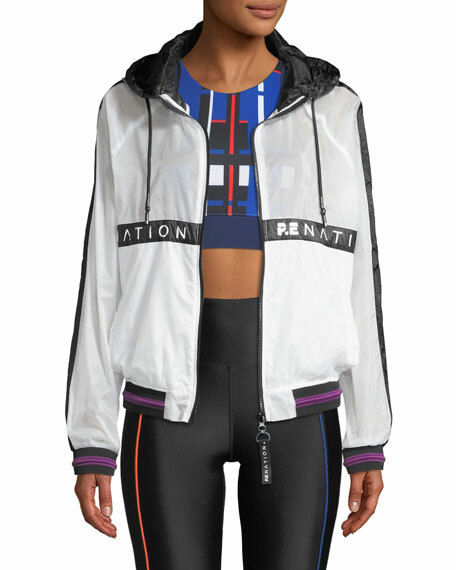 Fusing the lines between street and sports wear, the brand's recognisable aesthetic focuses on retro inspired designs, signature colour blocking and stripes with a strong tomboy steeze. 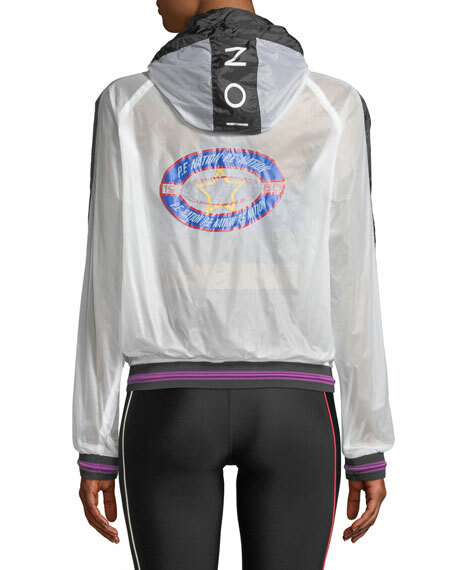 Functional performance wear is now your new everyday urban streetwear. For in-store inquiries, use sku #2534238.